New Year’s Eve celebrations should last longer than the time it takes for the ball to drop. 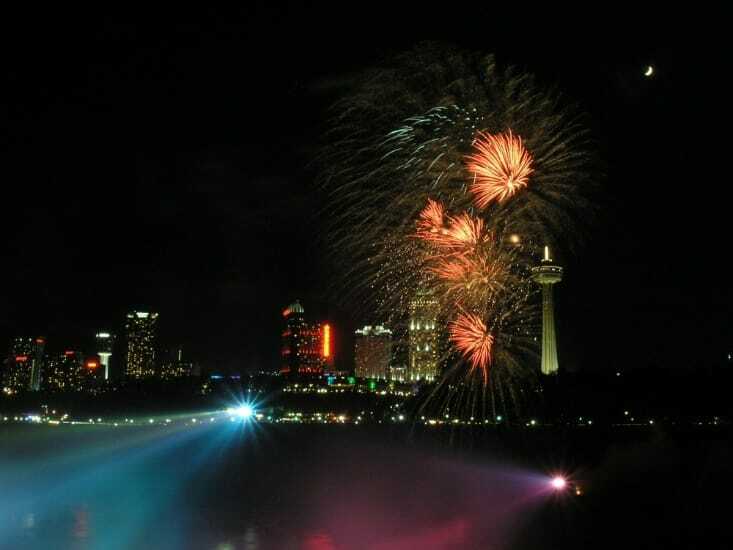 If you are travelling to Niagara Falls for New Year’s, you should look forward to at least two full days of excitement and adventure, as you explore the activities and events on New Year’s Eve and relax and recuperate for the year ahead on New Year’s Day. This guide should help you navigate the best experiences around the Falls, so you can ring in the New Year right. It’s difficult to imagine visiting Niagara Falls without visiting the falls. Because the big NYE bash doesn’t start until later in the evening, you have much of the day to explore our natural wonder. While some popular attractions — like the world-famous boat tours — are closed in December due to ice, you can still get some amazing views of the falls from some of the best lookout points, including Queen Victoria Park and Goat Island. Though the botanical gardens are closed for the winter — not much grows even in Niagara’s relatively mild winter climate — the Floral Showhouse up the road is open for the season. Adhering to tradition, the Showhouse holds some of the most amazing displays of holiday greenery (and reddery) you will ever see. Towers of poinsettias, balls of azaleas, bushels of cyclamen, and spires of Christmas cactus will have your jaw on the floor. The Showhouse is open from 9:30 a.m. to 5 p.m. If you’re willing to leave the city proper, most of the small towns in the Niagara valley have their own small New Year celebrations. For example, in St. Catharines, you can ice-skate while listening to the year’s top hits; in Port Colborne, you and the family can play games and create crafts; and at Fort George, you can watch the 41st Regiment Fife and Drums Corp march and play military tunes. Almost every venue in and around Niagara Falls has a party on New Year’s Eve, but you can forget all of them except one: The Biggest Bash. Starting at 8 p.m., Queen Victoria Park is transformed into a giant outdoor party celebrating the end of 2017 and the beginning of 2018 — and it’s completely free. Thanks to the efforts of the Niagara Parks Commission, you can enjoy a huge open-air concert featuring the best musical artists Canada has to offer, starting with Jess Moskaluke, Simple Plan, The James Barker Band and last but not least Marianas Trench! At 9 p.m, you can watch fireworks explode over Horseshoe Falls, and throughout the night, you can enjoy food and refreshments from local vendors. You can even wander into Clifton Hill to experience an arcade atmosphere, or you can journey up the Niagara SkyWheel. Just don’t stray too far — midnight will be here before you know it. If you prefer a more relaxing night out, you can watch the fireworks and enjoy a late meal at the Fallsview Buffet as part of our New Year’s Eve vacation package. At Christienne, you can feel last year’s worries melt away as you lounge in their infinity tub while looking out on a one-of-a-kind view of the American and Canadian falls. This spa has services designed to address worn winter skin, including refreshing facials and soothing body treatments. All Christienne’s products are fresh from the farm, without harmful parabens or sulfates. You should call ahead to make an appointment; you probably won’t be the only post-NYE client. To keep the party going on New Year’s Day, you can visit any of Niagara’s many wineries to sample some of the best and most unique wines in the world. Some of the region’s most prominent vineyards have tasting and dining events to celebrate the New Year. 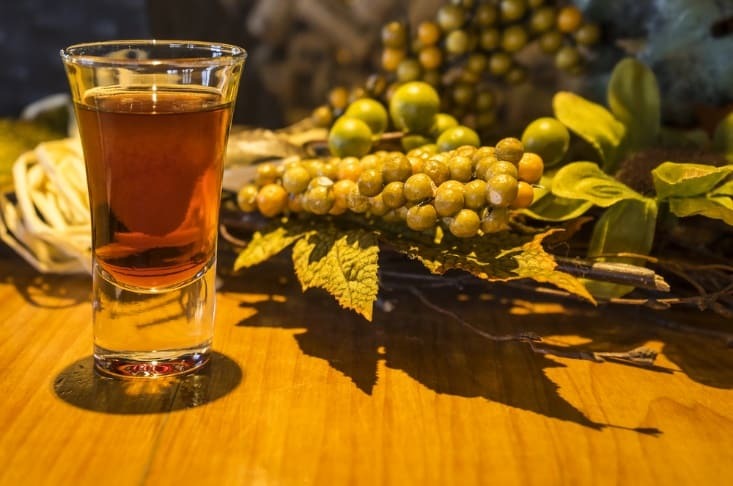 You might consider booking an organized wine tasting tour to facilitate transport around the valley and educate you about Niagara’s wine legacy.